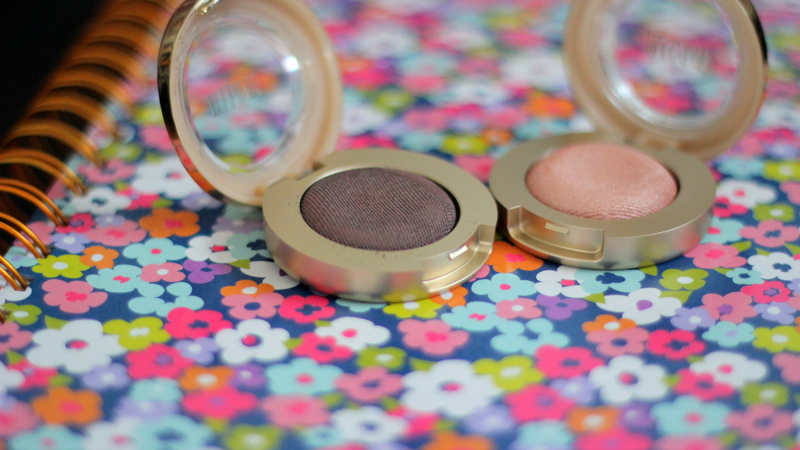 Hey loves, today I have an exciting post on the new Milani Bella Eyes, which are eyeshadows. 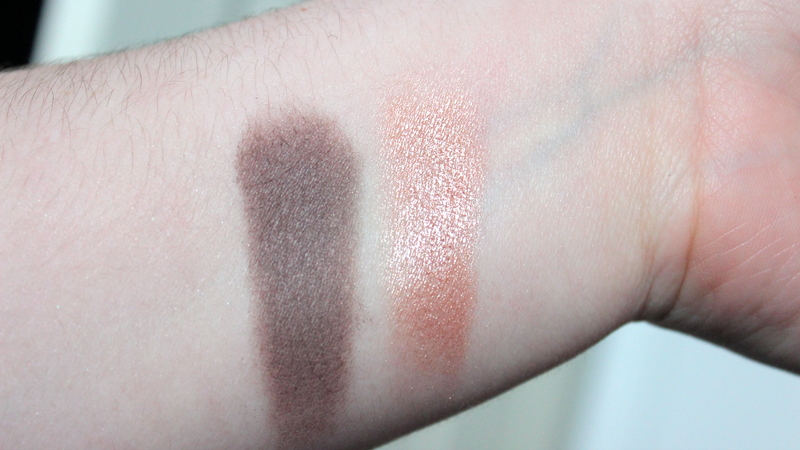 I was so excited when I had came a crossed a post regarding these amazing little shadows. 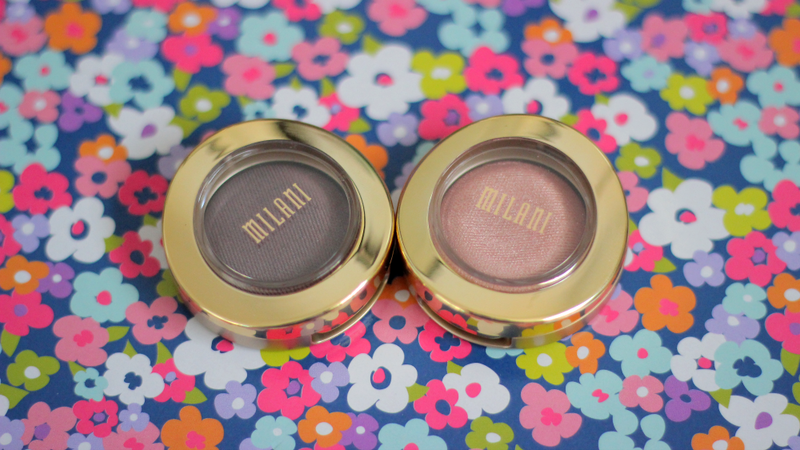 Of course no where near me sells Milani, so I went a head and ordered these two off of the Milani website. And trust me, it was hard just picking two because I wanted them all, but I really just wanted to test a couple first to see if I liked them before I went out and purchased more. And I must say, I am in love. So the two colors I got were Bella Taupe and Bella Champagne. Bella Taupe is a nice pretty brown taupe shade and it has a satin matte finish, which I love. The color was extremely pigmented and the texture was so smooth. It is considered a gel powder which makes it so smooth. 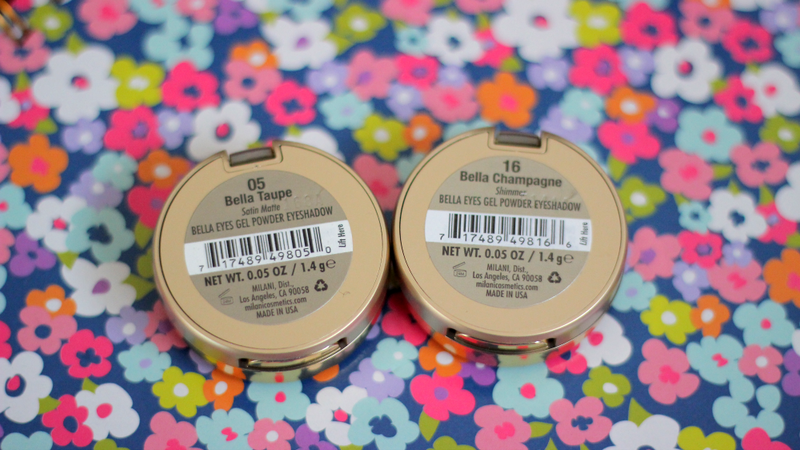 Then Bella Champagne is shimmering champagne color which of course is a shimmer finish. This color reminded me a lot of All That Glitters, but I love this color a little bit more because the texture feels better on the lids. Now a lot of people said that they had problems while using a brush to apply, but when swatching them I used a brush and also my finger and the pigmentation was just as great. 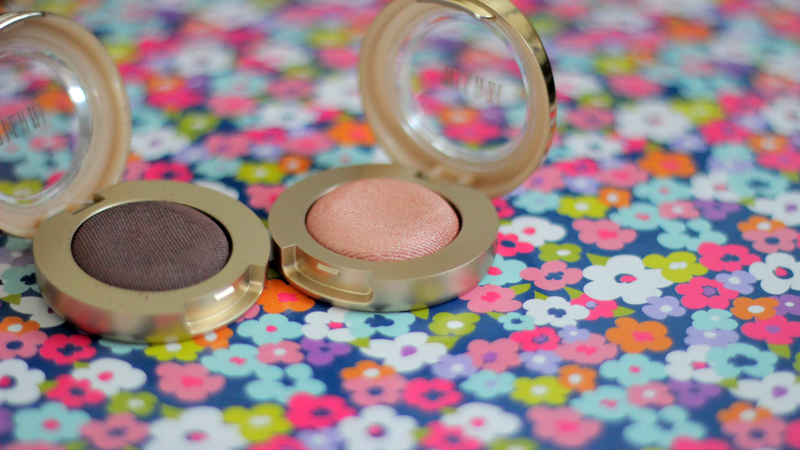 Also I love the packaging because they are the same packaging as the blushes, but just smaller. These shadows are only $3.99 so they are super affordable, and you best believe I will be purchasing more! Also don't mind my little picture craziness. 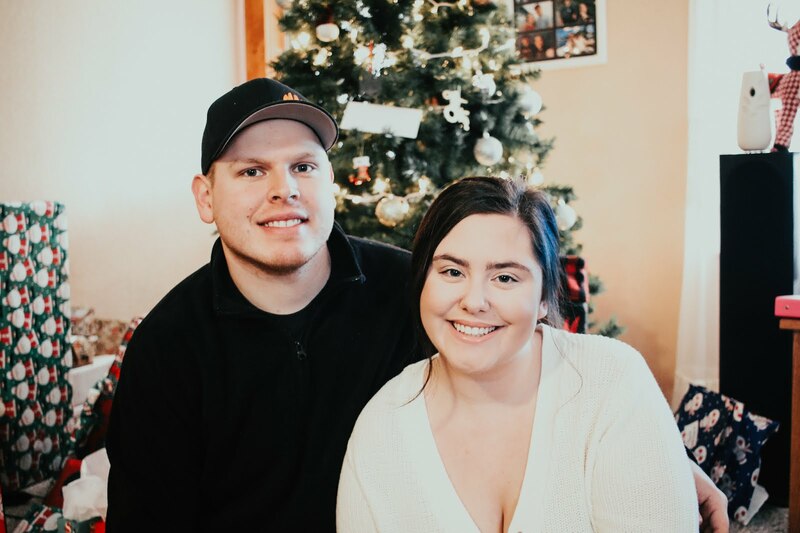 I took a ton of photos! These are gorgeousss!! I love the champagne colour! haven't been this excited for drugstore eyeshadows in a while!! They're so gorgeous!!! I haven't seen any yet...and I'm afraid I'll be tempted to buy them all! I know! 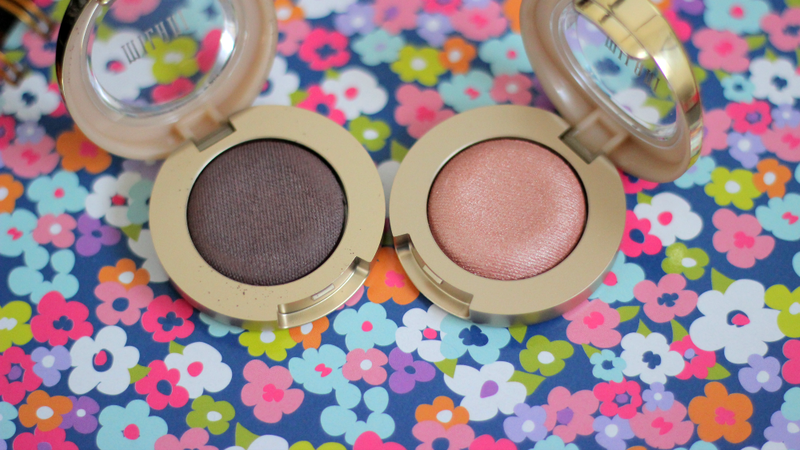 After loving these I think I am going to buy like all the browns and lighter shades :D I love them so much!